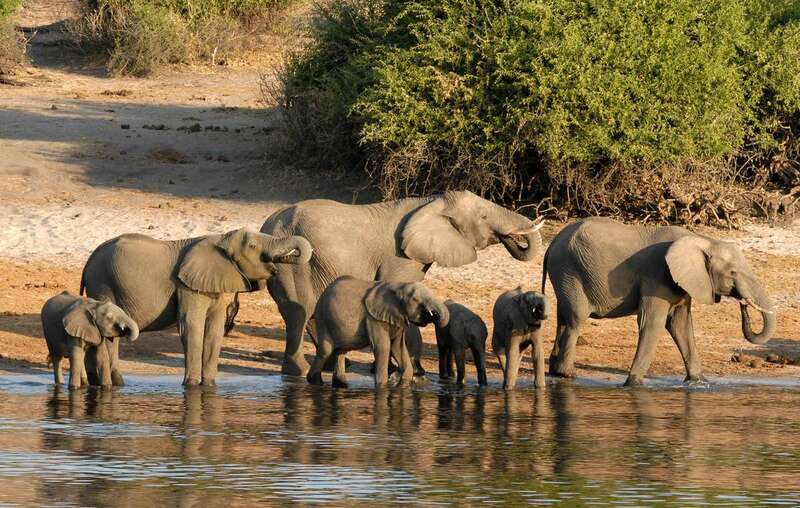 The scientists find no scientific basis for the dramatic assertion that 87 elephants have been poached in Botswana. Three leading conservation scientists in Botswana have released a statement saying they “find no scientific basis for the dramatic assertions made in the recent BBC report” of the deaths of 87 elephants in Botswana, allegedly by poaching. This follows a statement from the Botswana government last week which also claimed the BBC report was inaccurate. The scientists released the statement in response to the article ‘Dozens of elephants killed near Botswana wildlife sanctuary’, written by BBC Africa Correspondent Alastair Leithead, and published on the BBC News website on September 3rd, 2018. Leithead’s report is based on data and interviews given by Dr Mike Chase of conservation NGO Elephants Without Borders (EWB). The authors are three scientists working on conservation in Botswana, Dr Kathleen Alexander, Dr J.W. McNutt, and Dr Mark Vandewalle. Dr Alexander and Dr Vandewalle are Co-Founders of the Centre for Conservation of African Resources (CARACAL), and Dr McNutt is Director of the Botswana Predator Conservation Trust. They analyse the same research used in the BBC report to demonstrate that the “dramatic assertions” made in the piece cannot be justified by the data. Nevertheless, a flurry of petitions calling for wildlife guards in Botswana to be “re”-armed have sprung up in response to the news, including one set up by PETA and three separate petitions on Change.org, and are circulating widely on social media. The public outcry, symbolised by the rash of petitions, shows the vested interests behind such reporting, according to Survival International’s Director Stephen Corry. Corry claimed last week in an article widely shared on Twitter that such stories are fuelled by conservation NGOs who aim to drive public support for militarised “fortress” conservation. Corry said today: “With the Illegal Wildlife Trade Conference being held in London in less than a month, we should expect to see more stories appearing in the media stirring up panic over the increasing threat of poaching. They will be suggesting that the solution to this is more guns in the hands of guards. These guards are often trained and supported by big Western conservation groups like WWF and WCS, the parent company of the Bronx Zoo. These large conservation organisations claim that they are the experts, that they know better than the local people how to manage local wildlife, and they are behind the carving up of huge areas of indigenous peoples’ lands without their consent.